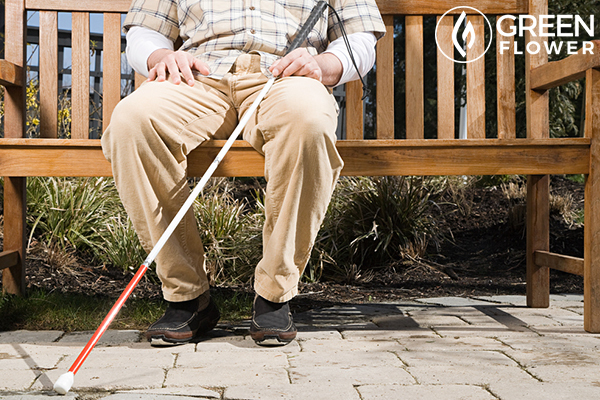 Blindness is a serious risk for diabetic patients. Every diabetic, whether autoimmune or type 2 diabetes, can tell you that having high levels of blood sugar is dangerous. When blood sugar isn’t properly managed by the body, rogue glucose courses through the bloodstream and begins to bind to places that it really doesn’t belong. One of the primary casualties? Blood vessels in the retina, which is the part of the eye that is receptive to light and communicates visual signals to the brain. When high levels of blood glucose begin to cause damage, a condition known as diabetic retinopathy develops. Understandably, damage to this part of the eye can cause blindness. In fact, diabetic retinopathy is the leading cause of blindness in Western Countries. There is no cure for diabetic retinopathy. 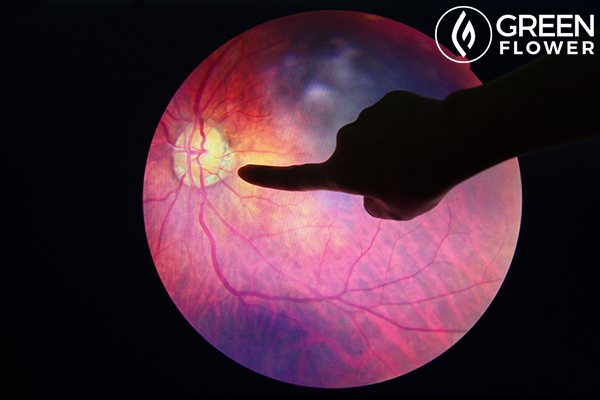 Patients with type 1 and type 2 diabetes are prone to the development of diabetic retinopathy. Estimates suggest that after 20 years of type 1 diabetes, nearly all individuals are at risk for development of diabetic retinopathy. For those with type 2 diabetes, 80 percent of patients with insulin-dependence will develop the disease after 20 years of treatment. Thus far, there are no cures for diabetic retinopathy. Though carefully managing insulin levels, laser treatment, and steroid treatment are common courses of action against diabetic retinopathy and managing the progression of the disease if it is caught early. However, there are few treatments available for effectively reducing the impact of the disease over time. Vision loss from diabetic retinopathy does not often occur until the disease has become quite advanced. This means that unless the condition is caught early, it may be too late to reverse some of the damage caused to the eye, increasing risks of blindness. Diabetes now affects over 108 million people worldwide. With disease rates on the rise, finding safe and innovative treatments for diabetic retinopathy and other life-altering symptoms is vital. For the first time, at least one biopharmaceutical company is investigating cannabis-based treatments for ocular conditions like diabetic retinopathy. But, why do scientists think that cannabis will save diabetics from blindness? Science shows how cannabis can protect your nerve cells, including in the eyes. Damage and then overgrowth of new blood vessels are two of the most problematic symptoms of diabetic retinopathy. Yet, damage to nerve cells in the retina that help relay messages to the brain is also a major factor in the disease. Damage to neurons in the eye often happens early in the progression of diabetic retinopathy, which then contributes to continued loss of vision and eye damage. 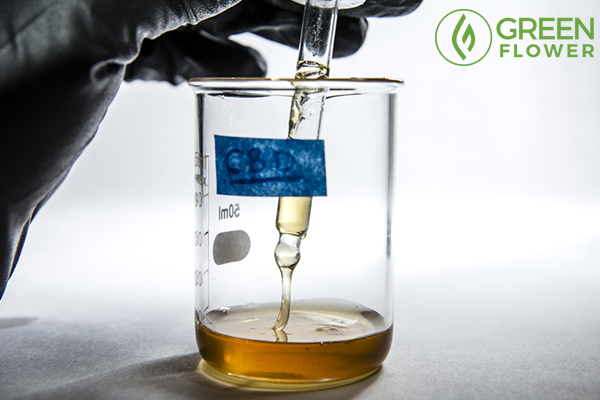 Cannabis compounds, particularly non-intoxicating cannabidiol (CBD), are neuroprotective. This means that they protect nerve cells from damage that comes from stress and age. In early rodent trials, regular treatment with CBD was shown to protect retinal neurons from damage caused by diabetic retinopathy. While inflammation is a vital and natural response to illness and injury, too much inflammation near the retina can severely accelerate damage over time. Numerous studies have explored the use of cannabis and cannabis compounds as potent anti-inflammatory medicines. In fact, research has found that cannabis compounds even work similarly to some prescription anti-inflammatory medications. Cannabis, however, is not associated with the severe side effects that often coincide with the regular use of these prescription drugs. Some of the most common side effects of anti-inflammatory medications include intestinal bleeding, which can be problematic for patients who take these medicines to feel better in the first place. Already, the strong anti-inflammatory properties of cannabis are being put to the test by various biopharmaceutical companies for a variety of different ailments. In combination with the numerous additional benefits of the cannabis plant for diseases of the eye, inflammation control may be an excellent reason that cannabis should be further explored in diabetes. We're already using cannabis to treat mice with diabetic retinopathy. Why not humans? 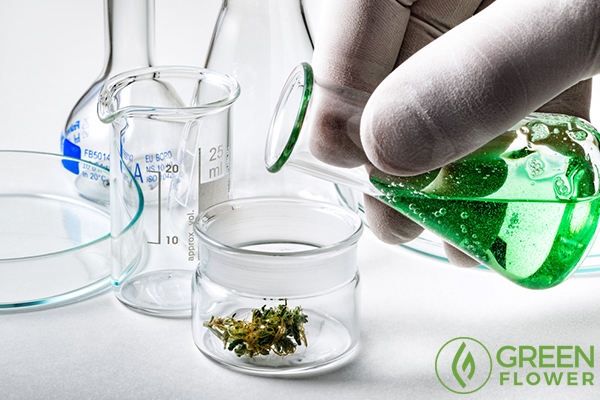 Over the last several decades, legal barriers have prevented scientists from studying cannabis in great depth. While research in humans is sorely lacking, animal research has already shown that cannabis-based medicines may have a positive effect in diabetic retinopathy. In 2006, scientists from Georgia discovered that treating mice with an experimental model of diabetic retinopathy successfully reduced symptoms, eased inflammation, decreased neuronal death, and prevented the breakdown of the blood-retinal barrier. In the study, rats were treated with injections of 10 milligrams of CBD isolate every other day. Additional research has found that the endocannabinoid system is dysregulated in diabetic retinopathy, indicating that cannabis-based therapies may be useful in treating the disease. 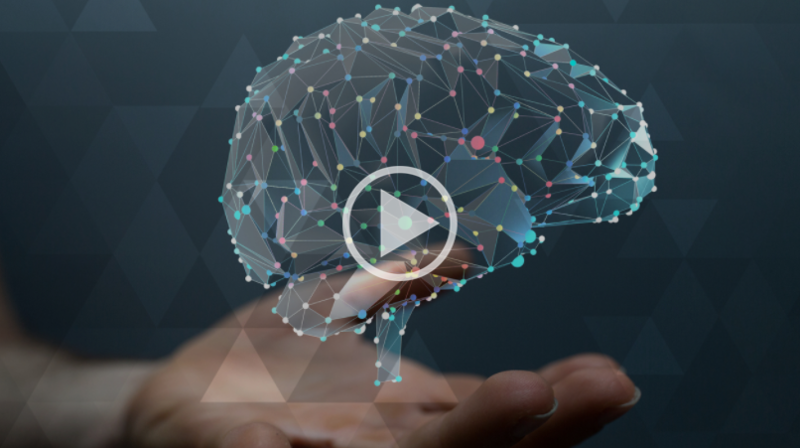 The endocannabinoid system (ECS) is a neurotransmitter network that helps the body respond to signals from its environment. The ECS is also the primary way cannabis compounds like CBD engage with the human body, giving the herb medicinal effects. Not only has the cannabis plant shown serious potential as an anti-inflammatory, neuroprotectant, and potential treatment for diabetic retinopathy, but emerging research suggests that the herb may be useful for treating diabetes altogether. In type 1 diabetes, early research has found that CBD reduces pancreatic inflammation and may even stall the overall progression of the disease. In type 2 diabetes, cannabis compounds have shown the astounding ability to improve insulin sensitivity and improve fasting glucose levels in early human trials. 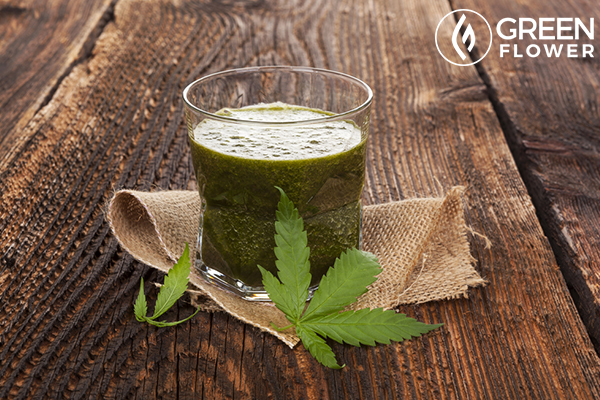 People forget that cannabis is an amazing nutritional supplement. Rogue glucose increases oxidative stress. Oxidative stress is damage to the body that leads to rapid aging, disease, and degeneration over time. An immense body of evidence, including a patent filed by the U.S. government, shows that cannabis compounds are potent antioxidants. An antioxidant is an agent that prevents oxidative stress in the body, slowing damage to cell membranes and DNA. In fact, compounds like psychoactive tetrahydrocannabinol (THC) and CBD may be more potent than vitamins C and E.
Research has shown that consumption of potent antioxidants can reduce the impacts of diabetic complications, improving a patient’s overall quality of life. The strong antioxidant potential of this medical plant is yet another reason that cannabis for diabetic retinopathy may be an underappreciated yet extremely useful tool. Is cannabis worth considering for diabetic retinopathy? Early evidence says yes. Do you or somebody you know have diabetes? What Are The Best Cannabis Strains For Fatigue? What Are the Best Cannabis Strains for Depression?